Mariuca's Perfume Gallery: I'm a Drop Star! Yeeha! 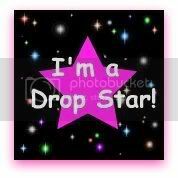 I'm a Drop Star, well according to Tina from Mummies Diaries! Top droppers we count as people that have dropped on us at least 8 times ever (you don't necessarily have to drop on both our blogs. It could be 8 drops on Mummy Diaries or 8 over at Mom Knows Everything). 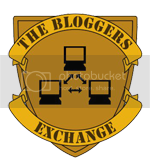 We will check to see who our top droppers are in the Entrecard statistics page, and the qualifying ones will be added to our joint blogroll, on both our sites. that is so nice of you to do a mention for me- thanks! I checked your other blog and your a drop star too there would you beleive lol! So go grab your badge girl! Wah congrats GP for being a drop star! This is a fantastic idea too.. so congrats to Tammy and Tina for coming up with this lovely gesture!! Yeah tell me about the internet.. eh I went to streamyx yesterday and wanted to see if can upgrade to 2mb connection.. coz mine now is only 1mb.. you know what they told me.. the whole of ampang can only get 1mb max!!! WTF right.. and here they are advertising 4mb connection... apadah siam tul lah!! Yay, thanks Janice! I love the badge, so cute! Sorry to hear the boys are sick again..so much work for u to do la huh? Thank goodness you have a trusty maid to help out. Congratulations Mariuca! I agree with you 100%...That's one of the reasons why I drop the way I do, and follow all entrecards until they "dead end"...It allows me to meet new people and make more friends and find great blogs rather than just dropping on the same blogs in a list every day. Yay, thanks Matt! I am actually doing my EC round now, and replying my comments at the same time! Hey marzie!!! I am so frustrated!!!!! I cannot advertize on your blog here!!!!!!! i sent email to Ecards but no response!!!! !